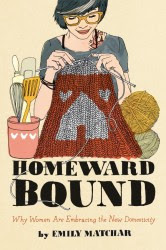 I write a lot in Homeward Bound about the culture of natural parenting (including the anti-vaccination movement), and where it comes from, so I’ll be interested to read the book. Given its Amazon ratings (20 5-star reviews, 2 1-star reviews) it seems quite polarizing, unsurprisingly. Anyone read it already? I think that the modern world offers this happy medium – I had my two last children at home (they were low-risk pregnancies), while my first one was born at the hospital. Home birth, for a woman like me who can handle the pain completely-drug free, was the most fabulous, magical, amazing experience, as powerful as creating things myself and raising/shooting food and those type of empowering things. By contrast, the hospital birth was horrid and humiliating. I have a certified midwife in attendance, plus an assistant, and then the hospital is really across the road – but I will avoid it whenever possible for my future births. I’ll be interested to read this book and see if in her romantic notions of colonial-era births, she mentions the mortality rate for both mothers and babies. I think natural childbirth is a great option, but as per usual in the “mommy wars,” it’s not enough for it to be the option for some women and not for others. Both my pregnancies were high-risk and ended in c-sections and it pisses me off beyond reason that anyone would make me feel like I had a lesser birthing experience because of it. My caesareans were medically necessary and “the half dozen medical professionals” who were involved gave me a very positive birth experience which I will always treasure. For those who gave birth at home, good for them. I hope it was wonderful, but it does not make a hospital birth less special or less difficult. I wish everyone were well-educated about the ACTUAL risks/rewards of every option, and not judged for their decision. With my baby I read so many natural birth books I became a fanatic. I was very gung-ho about doing a birth with a midwife…until she found that the baby was breach and unable to be turned! At that point she recommended a C-Section and I was devastated (because I has brainwashed myself with the natural birth books!). But you know what? After my daughter was born I didn’t give a S#!T about how that baby came out of me – I was just thrilled to be a mommmy of such a precious girl. For my next kid I’ll try the midwife again, but if it doesn’t work out, I’m not going to beat myself up about it. I wish I could have had that perspective from the get-go, but all of the birth books seem so biased there’s just no middle ground to walk! Oh, yes, giving birth in Colonial Times sounds FANTASTIC. What was the death rate of mothers and babies then? Oh, who cares? No pesky doctors or antibiotics to get in the way of a natural birth. Only the strong, who could handle pain completely drug free, survive. Oh, wait, not even those women could survive complications that led to dramatic blood loss or infection. I would love for a medical system to figure out how to make birth about what’s best for mom and baby. That may be home, or c-section. I just wish when a dr suggested c-section he wasn’t trying to make a flight and that when a natural leaning friend suggests home that she’s considering the mom and baby’s unique situation. I enjoyed the book birthing from within for their more inclusive style-though naturally leaning background. As you can already see from the comments, I think how you react to this book, and most likely most others on the subject, will depend on your own personal experiences. I found the book interesting, although I’d agree with the reviewer that it wasn’t real nuanced. But then again, I just appreciated the “alternative” viewpoint–I do think questioning vaccines, or at least the number of vaccines given in the first year of life, is still an “alternative” viewpoint in our culture. 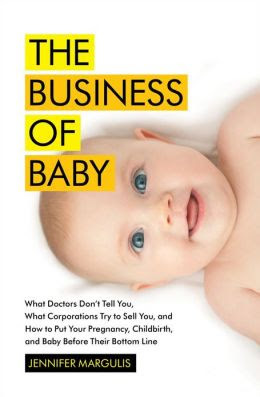 Parts of it also rang true to me, especially the strong-arm nature of OB/GYNs and pediatricians, and the fact that our medical system is a FOR PROFIT system (more so than those in socialized medicine countries). Frankly, I feel sympathy for the doctors who have to work in our system too. They can’t always feel good shoving patients through as fast as they have to either. Wish this comment was more coherent; my review offers a bit more info about the book in question. I enjoyed your book, Emily, and recommended it to friends. It was so very refreshing. As for this book, I haven’t read it, but I can relate to the polarizing views of birth. I had my first in the hospital, and I found it to be a beautiful birth with incredible nurses. I did have an epidural, and my baby bonded to me just fine. I also had a wonderful second birth in Chapel Hill’s birth center with no medication. It was a better experience, yes, but both children have turned out equally bonded and equally well. For awhile, I dealt with terrible guilt about having my first baby in a hospital, particularly because of all the bad rap about hospitals. I still think a more natural birth is the most pleasurable for mama, but not always feasible for everyone. In the end, we just need to accept the healthy baby we got and move on with our lives.